Iowa cracked out to a fast start, but Purdue kept hanging around. At 22-10 in the fourth quarter, things seemed pretty safe. 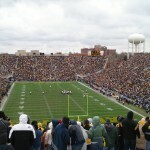 However, a quick Boiler score cut the lead to 22-17 and it took a Purdue “Hail Mary” attempt the game’s end to decide the outcome. 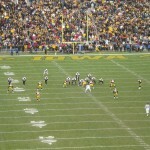 The ball sailed beyond the endzone and the Hawkeye bench erupted. With one game left on Iowa’s schedule, they are poised for a nice bowl destination. 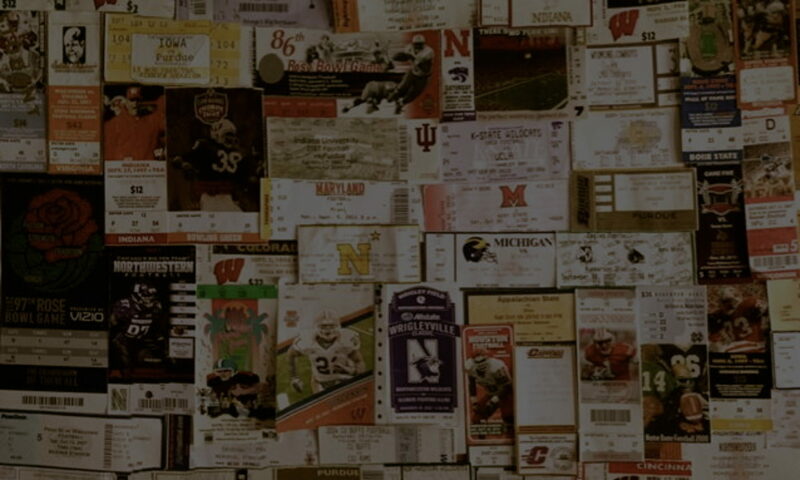 Big Ten fans always amaze me. 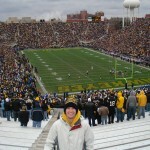 It was COLD in Iowa City with flurries whipping around the stadium. But, the masses came out to support their team. Gameday is such an event here. You have never seen so much blaring black and gold all at once. Quite possibly one of the most enjoyable stops is the “Big A** Turkey Legs” guy. This gentleman sets up his shop on the side of the road leading toward Kinnick Stadium. He is attached to a speaker helping to amplify his voice which cries out the name of his shop every other minute. In addition, he comments on pretty girls passing by (I am unable to elaborate on the comments since this is a family friendly website), while heckling any fan wearing opposing colors. He is as big of a key fixture on an Iowa gameday as are his gigantic turkey legs. He offers a bit of spirit and laughter on a Hawkeye Saturday. Iowa had plenty of spirit to lift them to victory and they will be heading to a much warmer place this January than their home. 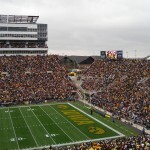 View from the student section. 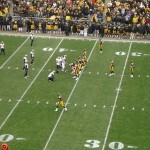 Boilermakers try to steal one away from Iowa. 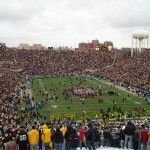 Iowa finishes Purdue and celebrates.